Local SEO is the process businesses use to optimize their locations’ visibility online for search queries that include local intent. Effective Local SEO practices include creating accurate business listings for individual physical locations on multiple online directories. The purpose of this is to allow you to rank higher in search engine results and to reach consumers who are searching for goods and services in that area. Learn even more about local SEO, why it’s different from organic SEO and the typical ranking factors associated with it. Managing your online reputation wherever customers are talking about your business includes identifying and monitoring your current and prospective customers’ feelings about your product, service or locations on more than one channel. Almost half of all customers who read online reviews form a strong opinion by reading just 1-3 reviews; and 85% of consumers disregard local reviews more than three months old. In an Uberall survey of 1,000 consumers, 45% stated that they had left a review online after making a purchase. A further 34% who submitted a review but did not receive a reply from the business have not shopped there since. Reviews provide easily accessible “proof” from your customers that may influence other consumers’ buying decisions. A recent survey by ReportLinker found that 59% of shoppers believe online reviews are equally as trustworthy as a review provided by a friend. On the flip side, they create new challenges for controlling your company’s online reputation and improving local SEO on Google. For tips on how to maximize the benefits of online reviews and customer feedback, download our free white paper. More than 80% of consumers are likely to shop at a store that responds to reviews. Adding to that, how you respond to your positive and negative customer reviews on Google My Business will improve your review rating, influencing your SEO. Negative reviews will happen, but don’t assume they’ll drag your local search ranking down. While responding to positive reviews will always be less painful, well-crafted replies to negative reviews gives you a chance to resolve misconceptions and shows your customers that they are important to you. Read Uberall’s 8 top tips for embracing and handling negative online reviews. Unmonitored reviews can also impact your online reputation. A recent survey by Uberall shows that one-third of customers won’t return if a brand doesn’t respond to their review. While Google reviews are the most influential, it’s also important to stay on top of what your customers are or, worse, aren’t saying on review sites relevant to your industry and directories like Yelp, Foursquare and Yellow Pages. 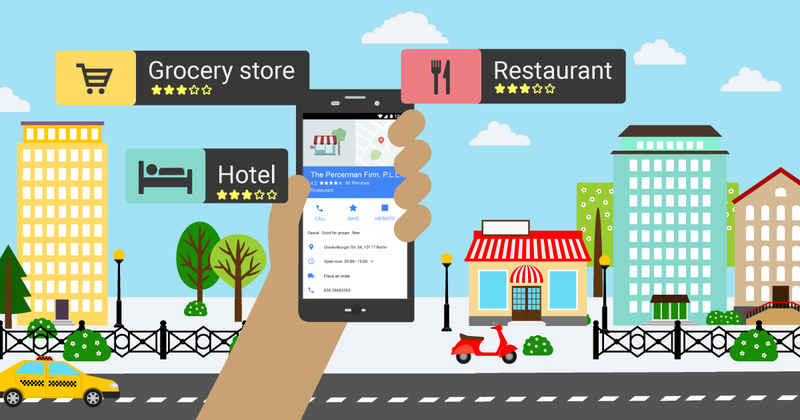 In 2017, Google added a review filter to the local results based on the review rating. When a search is deemed locally relevant, a grid called the local 3-pack will appear above the organic results. When a user enters a search term that includes words like ‘best,’ ‘top,’ ‘great’ and ‘highest rated’, the default review setting is 4.0 - meaning that Google will only show businesses with a review rating of 4.0 or higher in the results. Search terms based on quality are starting to matter more. Recent data from Google shows that searches containing the word ‘best’ have grown by 80% (June 2015 - June 2017). By giving users the power to select the highest-rated businesses in a given area, reviews have become a major ranking factor in local search. The higher the review score of your business location, the more likely it is to reach those consumers looking for quality local businesses. 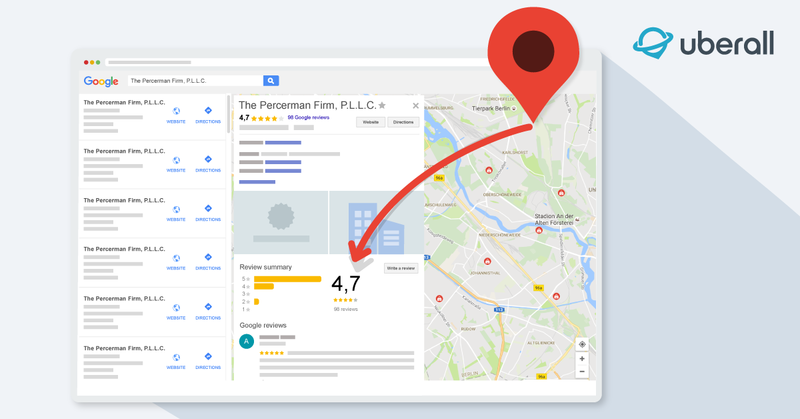 If your business already has local search visibility, a good review rating is crucial for establishing trust and helping consumers make their purchasing decisions. Learn more about Google’s local pack in our recent deep-dive article Organic SEO vs Local SEO. Customer reviews are rapidly moving up the ladder as one the most critical channels digital marketing leaders can use to boost ROI. By tapping into the power of reviews, you not only improve the customer experience but you also stay ahead of your competitors. Positive customer reviews also influence your ranking in local search results, resulting in increased clicks, visits, sales and leads. The easiest way to take advantage of your reviews is by including them as a channel to leverage in your digital marketing plans. Start by getting your team to be more proactive with your existing customers and leads. This can be as simple as encouraging your customers to review your business and then reacting to reviews immediately, showing them that you appreciate their feedback. To keep it easy and efficient, try and find a tool that will consolidate your reviews in one centralized hub giving your team the ability to control and manage all your reviews from one online location. This means they can save time and respond to multiple reviews from one platform. Looking for more tips on how you can optimise your online presence and reach consumers searching locally? Sign up for our blog.